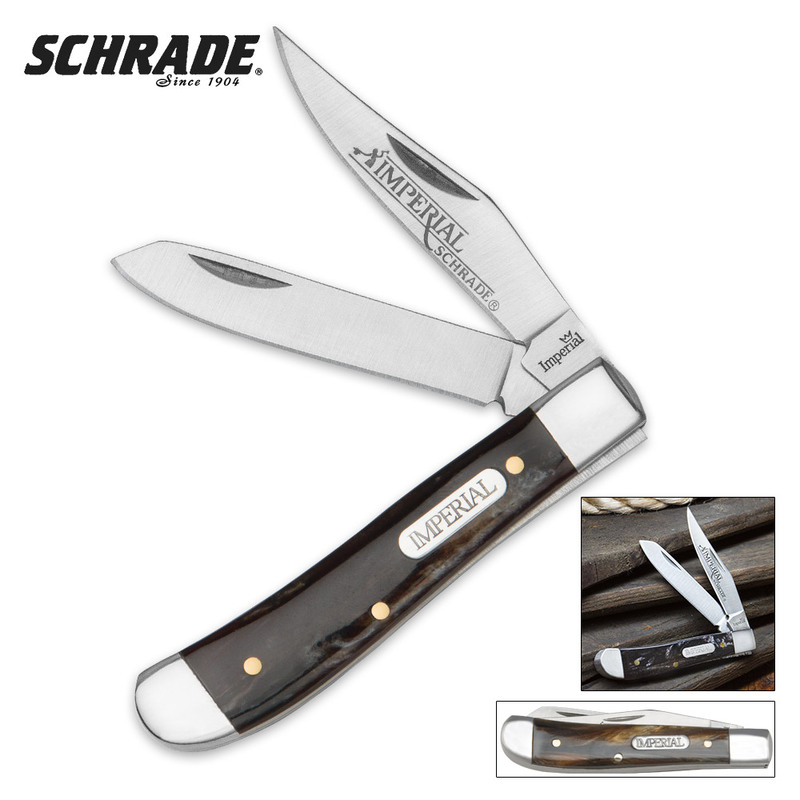 Schrade Imperial Red Swirl Trapper Pocket Knife | BUDK.com - Knives & Swords At The Lowest Prices! You can't go wrong with this classic Schrade Imperial Trapper with a red swirl handle. 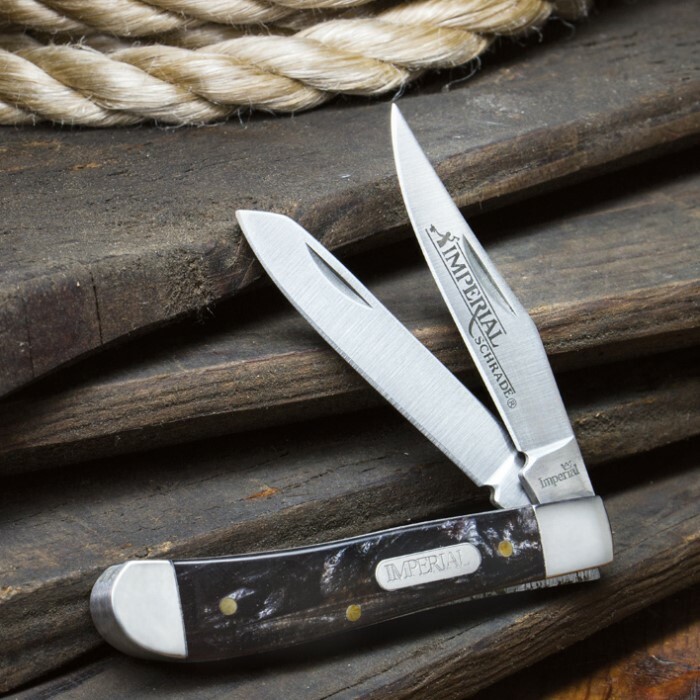 Each of these Schrade folding pocket knives features razor-sharp stainless steel blades with handsome red swirl handles and Schrade's Imperial markings and accents. 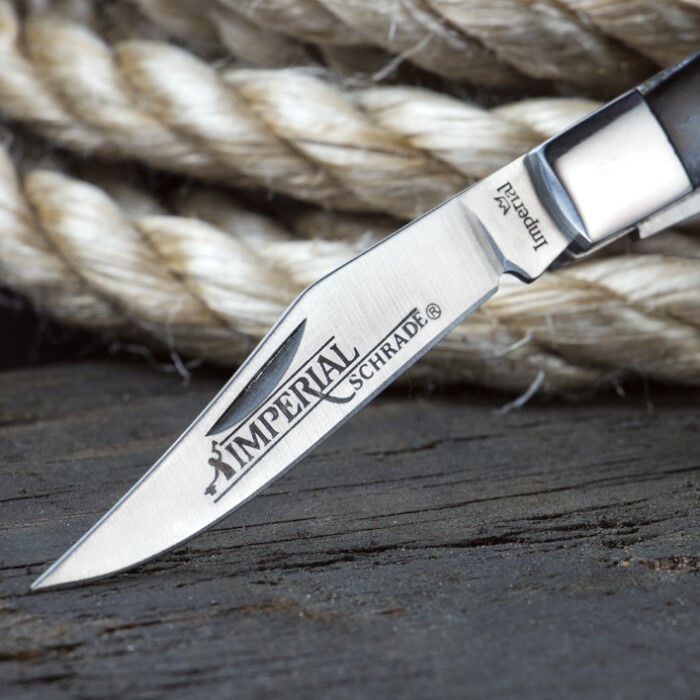 Knife is decently edged wouldn't say sharp at all but has a edge the design is pretty good too.